The best cast bullet I have ever used. 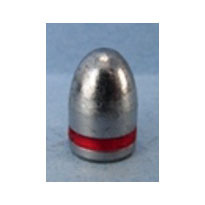 Very hard, shoots to point of aim, customer service and shipping is beyond expectation. These bullets work well in my 1851 Navy (converted to 38 Long Colt). I am using 1.9gr of IMR Trail Boss powder for a light but accurate load with low recoil. The open top 1851 should hold up for a long time. 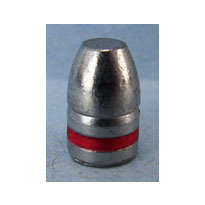 I have purchased Batman bullets before and with each new order their products are superior to other products of this type. I would recommend buying Badman Bullets to all. Works good for me. A cowboy club member and owner of old west .38 calI I have learned some bullets work better then others. The tapered tip of the 130 grain RNFP works very good in the Winchester "73". Badman bullets includes this info with the bullet description. A very fair price and delivery and a genuine concern for what works . Works for me . Thumbs up. I really like the bullets. Also you are very quick in shipping. I thought to myself, "how can they produce and sell these for that price?" I wasn't sure what to expect, but I figured it was worth a try. When the bullets arrived, I just marveled at the consistency and quality. They're gorgeous--almost too pretty to shoot. But shoot they do! I can't cast and lube bullets as good as these for what I paid for them. Badman, I'll be back! 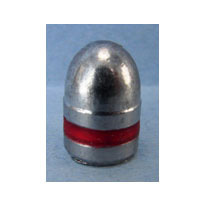 I use this bullet for Cowboy Action Shooting and it works just fine. Seems accurate, and 130 grains is just the right weight. 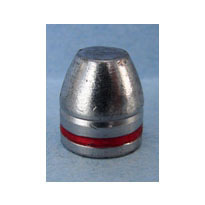 Yes, congratulations as these are the very first commercially cast bullets that did NOT lead my bore! And further, shot a tight and consistent group in my 4 3/4" SAA revolver! That's a first as well for "Store bought" bullets. I've been casting my own since 1960, but now and then I try someone else's. Badman Bullets scored a hit with this old loader. The alloy is hard, true enough, but did "bump up" well and the lube beats the daylights out of the crayons the others use! I am impressed. Well done, and like Arnold says "I'll be back."! Congratulations, you got another customer that's gonna be a repeat one. 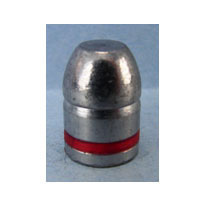 This bullet is the best I have used in my lever action rifle. I shoot cowboy action and have used several types of Bullets. The 130 round nose flat point works better than any other I have used.